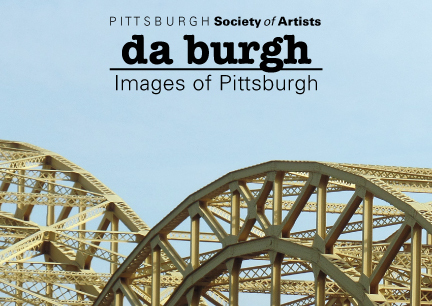 PITTSBURGH, PA – Pittsburgh Society of Artists Guild (PSA) presents an exhibit at Framehouse & Jask Gallery titled “Da Burgh: Images of Pittsburgh”. This exhibition will run from June 9 through June 30. It opens to the public with a reception at Framehouse & Jask Gallery, 107 43rd St, Unit 107, Pittsburgh PA 15201 on Friday, June 9, 2017 from 6:00 to 9:00 p.m. This juried exhibition of PSA artists will showcase work inspired by the City of Pittsburgh. This was an open theme and will feature the many diverse viewpoints and interpretations of the artists. The juror for this show will be Linda Price-Sneddon. Price-Sneddon is an artist-educator and graduate of the School of the Museum of Fine Arts Boston Studio Program. Her multidisciplinary work explores the basic human interrelationship and identification with the landscape. Opening reception: Friday, June 9, 2016, 6:00 to 9:00 p.m.
Mon, Wed, Thurs, Fri, 11:00 a.m. – 7:00 p.m.
Tues, 11:00 a.m. – 4:30 p.m. Sat, 10:00 a.m. – 4:00 p.m.
For additional information about Da Burgh or the Pittsburgh Society of Artists, please visit the PSA website www.pittsburghsocietyofartists.com. 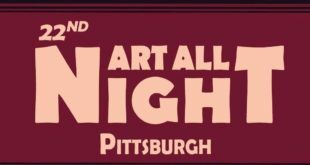 Pittsburgh Society of Artists (PSA) consists of more than 400 artist members living within a 150-mile radius of Pittsburgh and are creators using all varieties of visual arts media. 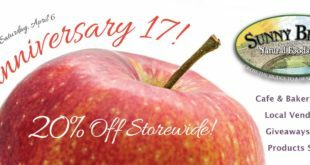 Last year PSA celebrated its 50th anniversary since being officially chartered in 1967. Our Mission Statement: Pittsburgh Society of Artists is dedicated to the vitality and growth of the visual arts in the Pittsburgh area. Formed for the specific purpose of exhibiting original works of art by its members, PSA has as its goals the encouragement and support of art in all its forms, the fostering of a true appreciation of art, and the furtherance of social activity and good will among its members and the people of Pittsburgh. For more information about PSA and current shows visit the website at www.pittsburghsocietyofartists.com.